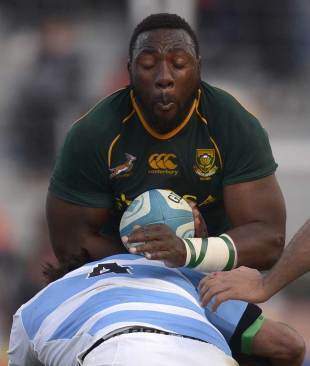 Sharks prop Tendai 'Beast' Mtawarira has said he will look to move to Europe after the 2015 Rugby World Cup, with a preference for France. Mtawarira, who has 55 Test caps and will be 30 by the time the tournament ends, has played for Durban since 2007 but said he was seeking a new challenge. "I'll look to relocate overseas [after the RWC]," he said. "While many South Africans are heading to Japan, France is an attractive destination for my playing career and my young family. "I'll get to play against some of the world's toughest front rows in Europe, which will be a great experience. I'll get to learn much more about the game in foreign conditions. "Off the field, my family and I will have the chance to travel and explore new countries."